Additionally my wiring was all RG6 home runs from each room location to the primary location in the basement so it made the installer’s job a snap to wire up. The longest thing was waiting the 45 minutes for each Hopper to download and activate, but the Joey’s go much quicker. The best part about the system is any one of the 4 Joey’s can link up to either of the Hopper DVR’s to view their recordings. Now with more than two people in the house you are limited to three tuners so you cannot have everything connected at the same time. The other cool thing is eventually each hopper will see the other Hopper’s DVR items so if you split your recordings you will be able to truly watch anything in any house. We even paused the home theater, and connected to the show from the master bedroom to watch from bed. There is a couple things to point out on the Hopper Storage though. The details say there is 2TB of data, BUT there is a catch. You have to know how it is broken down. UPDATED 4/23/2012 – DISH has recently updated the partition information as of 4/18 to increase the user data space!! This is great news for those that want to save more of your Prime Time Anytime shows. It’s nice to see they decided to increase the user space in lieu of the larger DISH partition. This is a rolling update so all Hoppers should see this update soon. Using primetime anytime is great so you grab everything, but it only lasts for 8 days. You need to remember to save the things you want which moves them to the 500GB user data area until deleted. Also DISH Network is one of the only companies that allows you to backup your DVR recordings and restore them to another DVR. Before the installer came, the night before, I plugged in an IOMEGA 500GB USB drive to each DVR and offloaded everything. When the new Hopper’s were installed, I just plugged it in again and moved them back. You may a one-time fee for external storage….but it’s totally worth it. I also am a big user of the DISH anywhere feature on the iPad. I also installed a Sling Adapter on each Hopper so I can remotely watch on my iPad or laptop when I am in my home office. This means I don’t need another TV or Joey in that room I can just stream the High Definition signal to my device anywhere in the house. The one downside to the online apps is they are not fully aware of the Hopper’s features. I have seen the recording tasks not setup correctly from the remote apps. For example it does not know about the DVR folder structures that are on the Hopper. All the recordings show in one long list which is no the same look at feel as the hopper interface. I will see if that improves over time, but the TV Anywhere is very cool. So far the features, and the function of having whole-home DVR along with unified menus and access is just plain awesome. No difference in user interface, and the same remotes in every room make things so much easier. The Hopper also supports IR remotes so I can still use my HarmonyONE and the 922 settings seemed to work just fine. I will still update it for the shortcut buttons which are used now. The Joey’s are super small and are even able to be mounted to the wall behind the TV with an included mounting plate. Lastly you want to make sure your Hopper’s are internet connected, but the Joey’s do not need to be. They even support a USB wireless adapter, but I prefer hardwiring them especially if you are using the Sling Adapter. Please post your own comments and experience’s with this very cool new piece of TV technology. If anyone is interested in getting one, please Contact Me so I can send you a referral E-Mail from my DISH Network account and we both get a deal! UPDATE 4/21/2012 – Today we tried to located the Sirius Music on the Hopper and it turns out it is done differently than on the old receivers! It is there but music is on channel 98 and channel 99. From there you can expand the music channels, so they are no longer in the 6000 channel range. Drove us nuts until we finally called to be told that this is different on the hopper. Your SiriusXM is still there just go to Channel 99! I also tried out the Pandora Application and it works perfectly. Logged in and selected my station and was off and running. I will play with the other apps soon as well. UPDATE 4/23/2012 –DISH also introduced the addition of Pandora and Facebook to the applications section. I tried out Pandora this weekend and it worked really well. They also added the ability to save the entire Prime Time Anytime series not just he single show. This shows that DISH really is cranking up the feature sets of this new receiver and I for one am loving it! They gave me permission to post the document below with the latest update details. Thanks for sharing your experience with the Hopper, Chris. It seems like you are pretty happy with the set up. Last week I had a single Hopper and 2 Joeys installed which was an upgrade from my old 722 with TV 2 mirrored for a third TV. It is so nice to have HD in all three rooms now and it is great to have independent control over all 3 TVs. The biggest adjustment for me is the new guide menus. Working at DISH I have had a few moments to play with the Hopper, but with upgrading from a 722 I have taken a little time to adjust. It is definitely a pleasant experience as the interface is much faster. I really like having the collapsible channel blocks for music and sports and having the channel logos on the left really helps me find my channels more efficiently. Once I upgrade my phone I will be adding a Sling Adapter to the system, I really want to see how that works. The iPad and Phone app are great for sure with the Sling Adapter. I also agree the menu navigation is MUCH faster when moving around. I hope they make the PrimeTime Anytime a little easier to see what is “Saved”. It can get a little confusing in that respect. Also you need to remember to go in and save them or they will get lost. I wish you could “Save” for ongoing recordings but I don’t think you can. Overall having all 6 TV’s with the same interface now is nice! Interesting. Good to know. I knew that the timers were in a sense over-ridden by PTAT since they were duplicates. I did not know it would auto save them though. I will check that out. Thanks! What do you think of the latest updates Chris? I love being able to crank Pandora through my home theater system and the expansion of the recording space was welcome as well. I think the big news came last week with Auto Hop. Working in a Dish call center I have heard a lot of misinformation going around about Auto Hop. It doesn’t delete or alter commercials in the Primetime Anytime recordings; it just skips over them if the feature is enabled before playback. I know a few companies are upset over Auto Hop but as a viewer I think it is a godsend. I never knew how engaging some of my shows could be until I watched them uninterrupted. Yeah, Auto Hop becomes active after 1 am Eastern. That works out pretty well for me because I’m just getting home from work around 11:30 here in Colorado. I think you’re right about commercials going away, although they may evolve into something else. Look at what Comcast is trying to do by adding advertisements to the fast forward screen. It will be interesting to see how the two features contrast with each other and how customers react. The Hopper is not all it is made out to be. The prior customer said all good things about it. 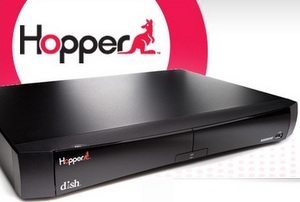 One major thing wrong with The Hopper that Dish Network does not tell you is: Once you install the Hopper, if you are not happy with it, you can NEVER go back to your old dvr system. Basically, you are screwed. It does not give us enough viewing on all our tv’s. We used to be able to watch 4 different shows on 4 different tv’s at one time. We had 2 dual dvr’s (722’s). Now, we can only watch 3 different shows on 3 different tv’s and the 4th tv has to be a prerecorded show or has to watch what one of the other tv’s are watching. Also, say 2 tv’s are recording different shows. Then that makes only 1 show available on the other tv’s. We all have to watch the same thing or watch prerecorded. We demanded dish put the system back the way it was before. Their answer? It is now incompatible with our old system and there is NO WAY to go back. The only option they gave us as existing customers of 15 plus years is to spend another $100 on another HOPPER! If you are a new customer, you get the hopper for free. If you have been with Dish for many years, you are screwed. You may or may not be happy with the hopper, I am just saying you should check into it a lot before you purchase it! Also, we have been using the sling adapter for about 6 months now. It no longer works very well. It doesn’t seem to be very compatible with the hopper. I am very bummed about this. I used it nightly! The going back is not true. The wiring for both systems is exactly the same int he walls. The Duo Switch just needs to be replaced back to an old style switch and you can use the older DVR’s. There is even an adapter that can be added to the DUO switch to allow a DISH Pro receiver to work from the diagrams I found. The only things that is changed is the switches, nothing else to install a hopper so I find it hard to believe you cannot put the old switches back and re-install your old DVR’s…..provided you kept the switches and the receivers. I have three of my old receivers and both my DP Switches still in hand. I throw nothing away. I’ve had no issues with the SA’a and the Hopper. In fact I had more issues with the 922 that had the build in Sling Adapter. Yes the Hopper only has 3 Tuners and you need to know that before buying it that three tuners means only three independent live shows. It is simple math for sure. It may not be for everyone, but for us with only 2 people in the house and 6 TV’s it is plain awesome. If you had Dual 722’s that means you had FOUR tuners, now you have THREE tuners. So you either need another hopper to get SIX tuners or deal with the three instead of the 4 you had before. I was fine paying $200 for two hoppers since that’s all I needed to do to upgrade 6 tuners. Frankly that’s not a bad deal since the installer had to remove all the old gear in the process. If you don’t like it you can always switch to DirecTV and get the new customer free stuff they are offering. NONE of the providers out there for TV, Phone, Internet you name it give you anything as an existing customer for free. That’s the whole deal to get you as a customer. Comcast and DirecTV are the same way once you are with them. If the Sling Adapter was working and now is not, the unit may have gone bad. You should be able to have them send you a new one I think they have a 1 year warranty. They are only $30, so being a 15 year customer you should be able to get them to send you a replacement. will enable lots of other features, that will make every one even happier with the system, (whole home gaming sys. solution) is one of them. and it can’t be connected in any way to any switch. (singel ) for one hopper. At first I felt the same way – that I lost a receiver. But what you have to realize is that we are moving away from watching live TV. The hopper is built to record and to then share with ALL TVs (plus sling/dishonline). In the end this has worked out much better for my family as we are generally watching recorded TV. Since we can do this literally anywhere – it is awesome. I agree with Colotti that if you really needed it you could add a Hopper so you would have 6 tuners and double the storage – double awesome. does GoogleTV work with the hopper? No it is not integrated as far as I can tell with the new Hopper. I just yanked mine out all together. I got my Logitech Google TV to work with my Hopper by pretending it was a VIP 922 receiver and it works at the basic integration level. Controls everything and turns it off/on. What else do you need. Apparently the 922 has similar software to the Hopper. That’s good to know actually! Thanks! How do you turn off the PTAT? Can you delete shows that you know you do not watch from PTAT? You disable it in the DVR settings, it is either ON or OFF, there is no in between. If you also have Timers set for shows under PTAT they will automatically be saved to your DVR side. There is no way to delete the PTAT versions, but you do not need to as they use a separate segment of storage that does not affect your personally saved recordings. if you Disable PTAT I suspect they will be gone 8 days or so later. I have yet to find a downside and even now PTAT recordings watched the next day have AUTO HOP which on replay skips ALL commercials automatically! I love PTAT and Auto Hop! How far in advance can you program the Hopper to record shows? Prime Time Anytime is a daily thing, but if memory serves the guide goes out 2 weeks for you to setup recordings. Once set to “New” or “all” it pretty much does it’s thing from there. I don’t think it goes out farther than 2 weeks though. I am going to gone for two months. Should I disengage the Primetime feature? There should be no need to from what I have seen it just over writes every 8 days anyhow. FOX, & NBC media to keep their hands out of your living room & DVR. Thanks. I signed it, I love the feature. The fact it is implemented with the OPTION on each playback makes it legal. It is enabled but not automatic when you hit play. You are asked if you want to use it for that specific playback only. It better not go away. The networks will lose money on advertising, so I suspect it is all about the money. The Hopper is not ready for public use. I have been a Dish customer for about three months and have lost for DVR programing twice now. (I am on my third replacement Hopper box.) When you call for tech support, you get turn the machine off and on. Helpful….? Below is a picture I took of a systems update that will take no more than 10 minutes. If my memory is correct it took 37 minutes and then I had to wait another 8 minutes for the machine to reboot. Not sure what service I am paying for as I don’t feel I am getting it. That’s too bad, we have had nothing but decent working units since day one with no issues thus far. How do you change the name of the Hopper, ie: family room, bedroom etc. The tech guy who installed my System named both hoppers the same name (family room)? One of my hoppers is located in my bedroom, so I would like to change the name to reflect the location of the hopper. Thanks! Pretty sure it is in the system settings but I cannot remember the exact one. I think you can maybe rename it from the Dish Anywhere App as well, but I’m not 100%. I found it when it was first installed to change the names but have not had to go back in for some time. Hi Chris. Stumbled across your blog and appreciate your insights into this product from Dish. Have a question for you. 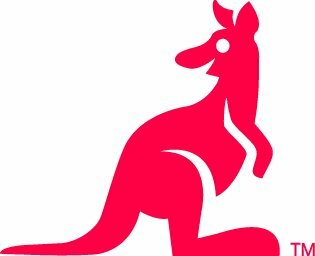 Is it possible to buy a Joey(s) from either outside sources or Dish Network directly and use them with the Hopper so as to avoid the $7 monthly lease fee? I’ve seen them for sale and most note that Dish has to be called to activate them. 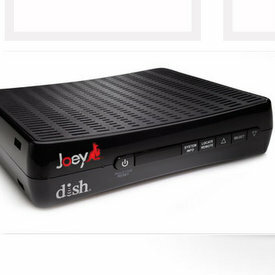 I would rather spend a $100 per Joey to buy one (or more) than pay $168 ($7 x 24months) to lease them from Dish. Thanks. That’s a good question, but I am not sure 1) if you can buy them outright or 2) if DISH supports them being purchased. It should work but that being said I just lease mine so that if something breaks…it gets replaced. That’s a good question you used to be able to order basic receivers and activate them, but you’d have to ask a local dealer if you can just order up a Joey. Personally I pay the lease fee as that means if it dies they replace it. Ok, just ordered our install. Didn’t find this til I ran a search for dish/pandora. Can you tell me in EASY instructions how to use Pandora? Pandora is easiest to setup from the web first at http://www.pandora.com. Once you setup you account and your personal station just enter the account information into the Pandora app on the Hopper. I always manage my station from my computer but it’s also easer to set it up from your PC/Laptop first. Chris, I have only had my Hoppers for 2 months but I keep having issues. My Hoppers will randomly skip recordings for no reason. A new episode will be airing, no conflicts and no one cancelled the recording but the Hopper just skips it. Have you had any issues with this? I have, several times, they have no clue. They even sent me a new Hopper for the master bedroom as they thought it was defective and the new one does it too. I am having dish installed tomorrow. Can tell me what will happen in this scenario. We set up a baseball game to record. We return home. One of us starts watching the Baseball game recording. An hour later another wants to watch the baseball game. Can second person watch from beginning while first person is now an hour into the recording. That’s a good question. I have never tried to have two people watch the same recording from two Joey’s, but my gut says no since the recording is the same file and the premise is that you can start watching in one room, pause and resume in another. So best guess….doubtful. Someone else said you could do it. I will just try it when it is installed and let you know for sure. One other quick question. When you stream live TV from your Dish Anywhere app will it even let you stream live football and baseball games. I was not sure if that was proprietary or not. Here is the final word regarding my question below. You absolutely can watch a recording from any spot from any location. So, when golf is recorded or even recording and my husband comes home and starts to watch it from the beginning and then I come home an hour later I can also start from the beginning. I have had the hopper with sling for 6 days and I must say it is awesome. Came across this blog and thought I’d see if you’re still answering questions. I had Hopper & two Joeys installed earlier this week. After a brief amount of time when I was thinking “Cancel,” I’m now liking it, though there are a few functions that were better before, IMO, including what I’m questioning. Do you know if the system remembers searches? The older version of Dish maintained a list of my searches. Choosing Search on Hopper brings up only what’s currently being watched (which is kind of dumb because I know what I’m watching). That’s a good question. I don’t think it does and I just got the new hopper with sling upgrades. I usually do my searches on the iPad application anyhow. I’m going to post a new article on the hopper with sling iPad download which is plain awesome. just got Hopper already need to replace it and I have a question about APPS there are some games on can you download others? As far as I know there are no apps you can download and install other that what DISH has supplied. I hope you are still viewing this and answering questions. We currently have 1 DVR in the home from dish. However, we have 2 PCs, 2 tablets, and 3 smartphones. My question is if we upgrade to the new hopper with Sling, will our devices be able to stream different channels online as the hopper itself. From my understanding you have to have the “sling” DVR for internet access on PCs and app access from mobile devices. Is that true? Or is there just a monthly fee I can pay for online access? Thanks for any help.